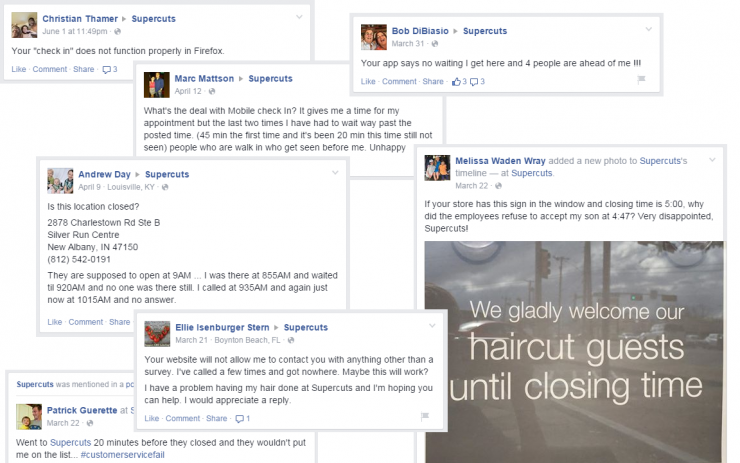 In the first place, it’s embarrassing just to admit that I get my hair cut at Supercuts. There’s a stigma associated with that brand: They call their locations “salons” (I wish there was something better than quotation marks to indicate derision), which is not manly enough for some men. And for women they’re seen as a bargain basement alternative to an actual salon. I guess it’s not a problem for the child demographic. But yeah, I get my hair cut at Supercuts. It’s not a considered choice but a matter of pure inconvenience. 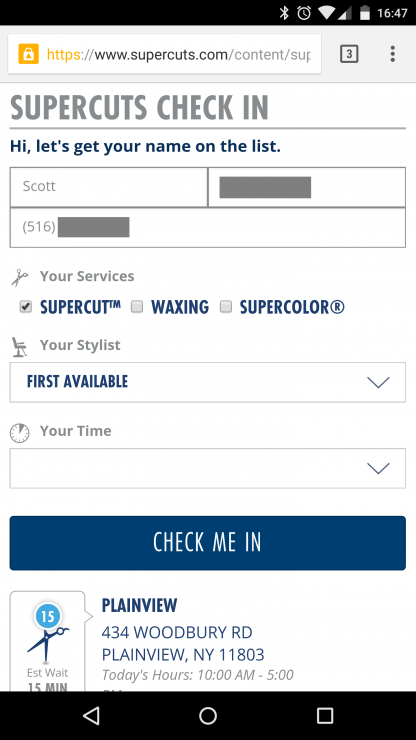 Dear Supercuts: First let’s talk about your website. You redid it recently and added some interactive functionality. There’s now an “estimated wait” and “check in” for each location. That’s great, in theory. It would be even better if either of those functions had any bearing whatsoever in reality. There are two Supercuts locations within about 7 minutes of my house. I’d love to just go to the one with the least wait. And since you rolled out the new site some months ago, I’ve been a good customer and diligently checked the wait times before leaving my house. Those wait times have been accurate once. But I’m pretty sure that was due to coincidence and not some stroke of genius on the part of your infrastructure. Let’s take today by example. I checked the wait times. The location that’s closer to me estimated a 15 minute wait, the farther location 10 minutes. I tried to check in online at the closer location, but I’ll get to that failure in a minute. When I arrived, I counted eight people waiting for a cut versus two “stylists”. Now, I’m no expert in hair cut scheduling but there’s no way that two “stylists” could get through eight customers in 15 minutes. That would verge on an hour at best. So I did what I usually do in that situation and headed to the other location, the one with the “10 minute” wait. There were only two people in the waiting area. Score! Except I was greeted and told by one “stylist” that it would be a half-hour wait, and that they would be closing in half an hour. The other “stylist” looked at his watch and said something like, “yeah, we close in 35 minutes and there are still two people waiting, sorry. To be clear: Your customers don’t care in the slightest what time your employees’ shifts are over. So why do you publish that time on your website? 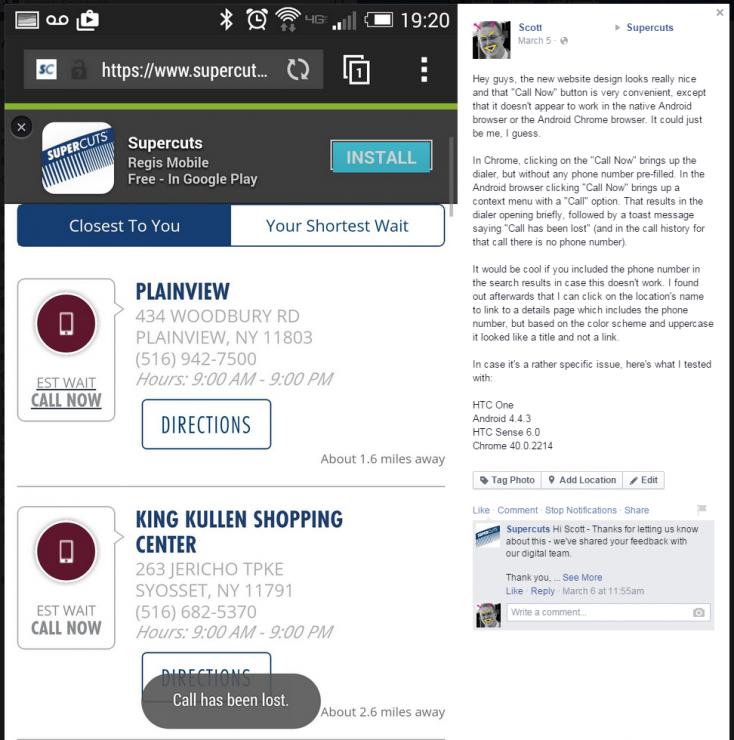 Instead, why not post the latest time at which a customer is welcome to walk in the door? In the example from today — when I was told that the location closed in 35 minutes and I was turned away — I had actually walked in at 4:20 PM. The location closed at 5:00 PM. Why do you want to actively piss off your customers by turning them away even a minute before the posted closing time? If your employees go home at 5 PM on a Sunday that’s absolutely fine with me. Of course they don’t want to be stuck there all night. They have families and better things to do. So why not just post on your website that the location closes at 4:30 PM? Because again, as a customer, I don’t give the slightest bit of bull plop as to when your people go home. Just tell me when I can no longer get my hair cut. And if your useless website hadn’t sent me to the first location with false hope, I would have been at the second store 10 minutes earlier and probably would’ve had a shot. “Closing time?” It’s not the first time. If this was an occasional thing then I wouldn’t even bring it up. But in other instances I’ve arrived at one of your stores anywhere from 20 minutes to 45 minutes before “closing time” to find the doors locked and people inside getting their hair cut. I think that I’ve made my point. Let’s get back to your useless website. I filled in my information with no problem, until I got to the “Your Time” field. Touching that field caused it to be outlined in blue, as with the dropdown above. However, no options were displayed and nothing else happened. No error message, no loading indicator. Nothing. I figured that it might not be a required field, so I hit the “CHECK ME IN” button. Again, nothing. No response at all, not even a message telling me that the time field was required. 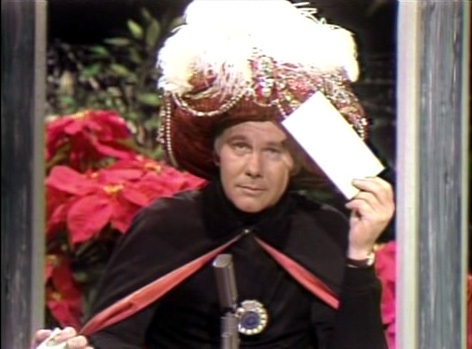 I can guess what your response will be, oh Supercuts “Tech Department” (remember, I’m using quotes to indicate derision): It’s probably something on your end. Nope. I’m kinda between phones right now, so I tried this on both a Motorola Nexus 6 and an HTC One. Both running Android 5 (Lollipop), and both running the latest version of Chrome. Maybe you’re going to say that I’m “using an unsupported browser”, but that would be a stupid excuse. And don’t blame my internet connection, either. I can write an entirely new post on why that’s unlikely to be the problem. Such an app is pointless. It’s going to need an internet connection to (theoretically) obtain wait times and to allow users to check in. I’m going to go out on a limb and assume that it doesn’t need advanced graphics with native calls to a GPU. So ask yourself why did we spend money developing an app in the first place? I write these kind of posts for my own catharsis, even though they generally turn a small waste of time into a massive waste of time. A few months ago I posted to your Facebook page about another issue, and I’m glad to see that it’s since been fixed. I don’t know how much you spent on that new website, but one thing is for certain: It was either too much or not enough. You outsourced the development of your new website. Those developers work on Macbooks. They use iPhones. Your site works really, really well on Safari. Please let me know if that’s true.